Grown lovingly in the Horowhenua, Cam and Catherine Lewis present you with their fresh strawberries. Bounded by the mighty Tararua ranges to the east and the Tasman sea to the west, the location of Lewis Farms and the corresponding temperate climate is what sets our produce apart from the rest! The heart of the operation, Dunoon, has been in the Lewis family for four generations. On 1 July 1934 Vincent Lewis purchased Dunoon to milk cows. His son Campbell, then farmed the land in sheep and dairy in conjunction with his father; his guardianship over the land extended for 51 years. Campbell’s son Geoff then took over the reins of Dunoon in 1986 to farm in bulls and asparagus. Fast forward to today, where Geoff’s son Cam and his wife Catherine, are following the footsteps of Cam’s great grandparents, grandparents and parents and are now growing strawberries at Dunoon. As fourth generation farmers on the land, they know a thing or two about how to grow great food. You can rest assured that the strawberry you are biting into, has had over 75 years’ worth of farming knowledge and skill poured into it. We grow our strawberries in poly-tunnels utilising hydroponic technology, this provides for an extended growing season from around October to May – with a small amount into the Winter months. We pick our strawberries daily, to ensure they are perfectly ripe with a superior flavour. The best strawberries around! Look out for our strawberries in your local supermarket, visit our packhouse shop or contact us for special orders. Lewis Farms Honey is another addition to our Lewis Farms product suite. We currently have two blends available for sale; Manuka Bush Blend and Horowhenua Blend. Pop in to our Packhouse Shop for a sample and to hear more about this delicious gift from nature. From time to time we look for people to join the Lewis Farms team. Roles can include strawberry picking or packing . We may also have roles picking or grading asparagus during the season (September-December). You can purchase the freshest Lewis Farms strawberries from our Packhouse shop, located just ten minutes north of Levin. We have a range of strawberries available from our gourmet, to baby berries and second grade. We also sell our Tendertops Asparagus (in season), real berry ice-cream, barista coffee, Lewis Farms Honey, fresh seasonal produce and a range of other locally produced goodies. We are open 7 days during our season. Please see our Facebook page for shop hours and the latest updates. We use an integrated pest management system (IPM); a system which utilises both organic sprays and nutrients, the release of natural predators to control pests, and the responsible use of chemical sprays as a last resort. IPM allows us to maximise the growth of a healthy crop with the least possible disruption to the precious ecosystems that encourage natural pest control. Our expert agronomist monitors pest and disease levels on a daily basis, to ensure the health and quality of our strawberries. We package our strawberries for the supermarket into plastic punnets. These punnets are made from Polyethylene Terephthalate or PET (#1), one of the most straight-forward plastics to recycle in New Zealand. The recycled PET is in high demand from re-manufacturers. Recycled PET is commonly used to make packaging, food and beverage containers, carpets, strapping and polyester fibres for clothing. While we acknowledge using plastic punnets is not ideal, we are constantly observing the industry here and overseas, as well as other similar products for developments to plastic alternatives. Our investigations show, that at this stage there is unfortunately no suitable alternative to the plastic punnets. The punnets must provide both adequate food safety as well as help to support shelf life of the strawberries to avoid food waste. We are aware this space is changing rapidly with new forms of packaging constantly emerging in the market. We continue to focus on finding a long-term solution and engage with our customers on this. 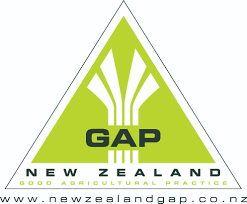 If you would like to contact us at any time to share feedback please contact us at office@lewisfarms.co.nz. Our Packhouse Shop uses cardboard punnets. These can we re-purposed by planting seedlings and then popping the whole punnet directly into the ground to break down around the plants. For transport from our farm to market we use hire-crates. These crates are utilised over and over again, as opposed to cardboard boxes which are often single use. How can you grow strawberries outside the Summer months? We grow our strawberries in poly-tunnels. These tunnels provide protection from the elements, as well as promote a warmer temperature for growing. This allows us to extend our growing season either side of the Summer months, from Spring through to Autumn. The temperate climate of the Horowhenua also assists us with this. Why are your strawberries so sweet? If you have tried our strawberries you will know that they have a very sweet and intense flavour profile. We test our strawberries against those grown outside and they are often more than 100% sweeter! We are able to grow different varieties than those commonly used by outdoor growers, producing a sweeter berry. We also use a carefully tailored fertiliser and organic seaweed programme designed to give the plants precisely what they require for fruiting.